There is much in the world that seeks to divide us, yet as human beings, what we all long for is honest and authentic connection. Sharing stories is one of the most effective ways of engaging with others and feeling a sense of understanding and belonging. Yet what kind of stories are we telling? How can we improve the way we communicate our thoughts, ideas and experiences? 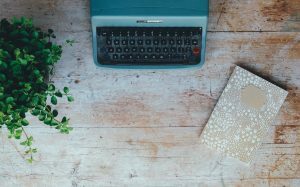 It is our mission at Sisters & Stuff to share the heart of Evergreen Storytelling, a unique method of writing that harnesses the power of words to create profound and lasting impact, with aim to inspire hope in others. Just as evergreen trees retain their leaves throughout all seasons, evergreen stories are written to keep their relevance throughout the years. In our fast-paced digital era, there can be an overwhelming amount of ideas and stories marketed to us via news outlets and social media platforms. We become so curious for new information, that we don’t often stop to think about the kind of content we are consuming. As much as instant access to knowledge helps us grow and evolve, it can also be misused and harmful to our mental health and wellbeing. For women especially, unrealistic standards of beauty and status as often perpetuated by celebrity culture, can lead to poor self-image and misguided motivations. 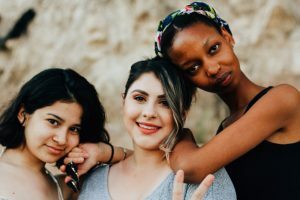 Sisters & Stuff aims to empower women to understand themselves beyond image, focusing on other aspects about our lives that make each of us beautiful, unique and important contributors to the world. Such aspects lie in our personal stories – our experiences, our thoughts, ideas and dreams – which unlike fashion trends that quickly fade through the seasons, have the lasting power to continue to make impact on future generations. Thus is the importance of our personal stories – they are unique, powerful and evergreen.